Claudia Rappaport, PhD, ACSW, MSSW, is an Associate Professor in the BSW Program in the Social Work Department at Texas A&M University-Central Texas. She completed her PhD in Medical Humanities at the University of Texas Medical Branch Institute for Medical Humanities in Galveston in 1995. Her dissertation was, “To Make Treatment Effective: The Development of Medical Social Work at Massachusetts General Hospital, 1905-1945.” She received her MSSW degree from The University of Texas at Austin in 1975 and a Bachelor’s degree in Sociology (with a minor in psychology) from The University of Texas at Austin in 1972. Dr. Rappaport has been with A&M-Central Texas (at the time known as Tarleton State University-Central Texas) since August 2000. Classes she teaches have included Human Behavior in the Social Environment I and II, Methods and Skills of Interviewing, Practice I (Micro-Interventions), Social Work with Diverse Populations, Biological Foundations of Social Work Practice, Social Work and Mental Health, and electives in Case Management, Child Welfare Services, Death and Dying, Family Risk and Resilience, Health/Illness/Disability, and Professional Writing for Social Workers. She has also previously been the Director of the Social Work Department at TAMUCT and the Director of Field Placements, which included teaching field seminar classes and supervising all of the department’s internships. 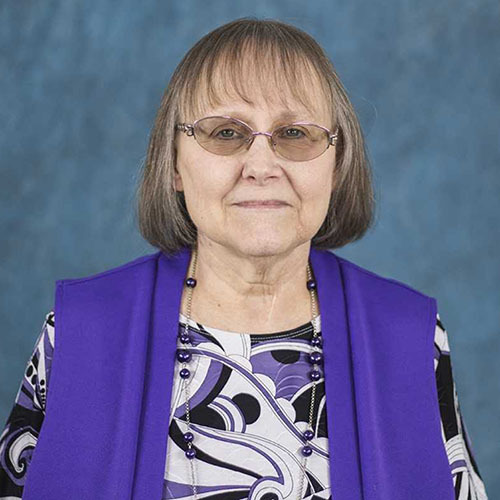 While teaching at TAMUCT, she has received several awards, including the Outstanding Full-Time Faculty Member award in April 2011, a Teaching Excellence Award in Fall 2010, and the Faculty Advisor of the Year award twice, in 2005 and 2006. In addition to her teaching at TAMUCT, she is faculty advisor for the Phi Alpha social work honor society, and under her leadership the Pi Rho chapter has won a total of eight annual Community Service awards, given by the national office of Phi Alpha. In October 2009 Dr. Rappaport was also given an Outstanding Service Award by the National Phi Alpha Honor Society. Phi Alpha has also received TAMUCT’s Student Organization of the Year, Program of the Year, and Commitment to Community Service awards several times. Prior to arriving at TAMUCT, she worked for 25 years as a medical social worker specializing in pediatrics, serving infants, children, and adolescents who had life-threatening illnesses or physical/mental disabilities. • The first 8 years she worked at the University of Texas Medical Branch in Galveston as a social worker. She was assigned to a number of different services, including the newborn intensive care unit, the pediatric intensive care unit, and services dealing with pediatric cancer, pediatric HIV/AIDS, sickle cell anemia, cystic fibrosis, child abuse and neglect, and many other types of disorders. • For the next 10 years she was promoted to Supervisor of all the Pediatric and OB/GYN social workers at UTMB, and she continued working with pediatric patients and their families throughout her tenure as supervisor. • For 3½ years she had a private practice doing contract case management services for clients of the Texas Department of State Health Services Social Work Program, providing those services through home visiting. In those 3½ years she worked with over 700 patients who were eligible for the Children with Special Health Care Needs Services Program who were living in Galveston County. • For another 3½ years she worked as Assistant Director of the Texas Department of State Health Services CSHCN Social Work Services program based in Houston, where she supervised social workers who provided services in 16 Texas counties. She has been a member of NASW since 1975 and a member of the Academy of Certified Social Workers since 1977. In 1983 she was named “Social Worker of the Year” by the Galveston Unit of NASW, and in December 1982 she received an award from Texas Chapter of NASW for “special meritorious demonstration of the values and ideals of the social work profession and for significant contributions to the betterment of human welfare.” In 2015 she was given the Lifetime Achievement Award by the Central Texas chapter of NASW. She has served on numerous agency boards related to hospice care and the prevention of child abuse, including helping to start a hospice agency that still exists in Galveston County and working closely with three different child abuse prevention programs, in Galveston County and in the state of Texas. In 2002 she won the Texas Leadership Achievement Award given by Prevent Child Abuse Texas. For the past twelve years she has devoted her free time every Saturday to volunteer service with the Scott and White Hospice Thrift Store, continuing her long-term commitment to the value of hospice services.